Service Dog Candidates get Brain Scans to Determine Job Suitability – FIREPAW, Inc. Working dogs are working dogs, right? Well, maybe not, say researchers who are using brain scans (functional MRIs) to determine which dogs make the best candidates for the role of service dogs. 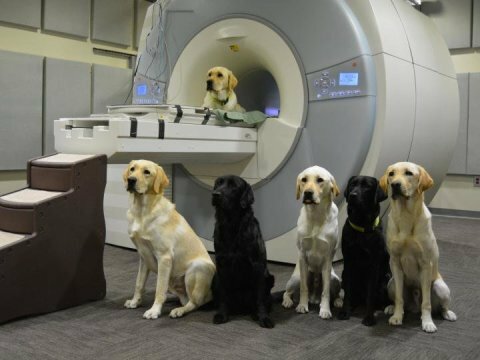 The results of a recent study demonstrated that brain scans of canine candidates to assist people with disabilities can help predict which dogs are most likely to fail the rigorous service training program. The study found that fMRI boosted the ability to identify dogs that would ultimately fail service-dog training to 67 percent, up from about 47 percent without the use of fMRI. Click here to read highlights of the study.